Silver Age Yoga – Silver Age Yoga Community Outreach, a 501(c)(3) organization helping seniors live better lives. Silver Age Yoga Community Outreach, a 501(c)(3) organization helping seniors live better lives. Silver Age Yoga Community Outreach is a 501(c)(3) non-profit whose mission is to provide health-enhancing, life-enriching yoga classes to underserved seniors. In 2003, our founders Frank and Serpil Iszak recognized the need for a different type of yoga that would meet the special health needs of seniors, and a new style of yoga was born. Now in its fifteenth year, Silver Age Yoga Community Outreach (SAYCO) offers about 20 classes to seniors throughout San Diego County every week, primarily at libraries and senior centers. In 2017, SAYCO held about 1000 classes in San Diego. our DVD-based video class program. All proceeds from these efforts go to support our core mission. 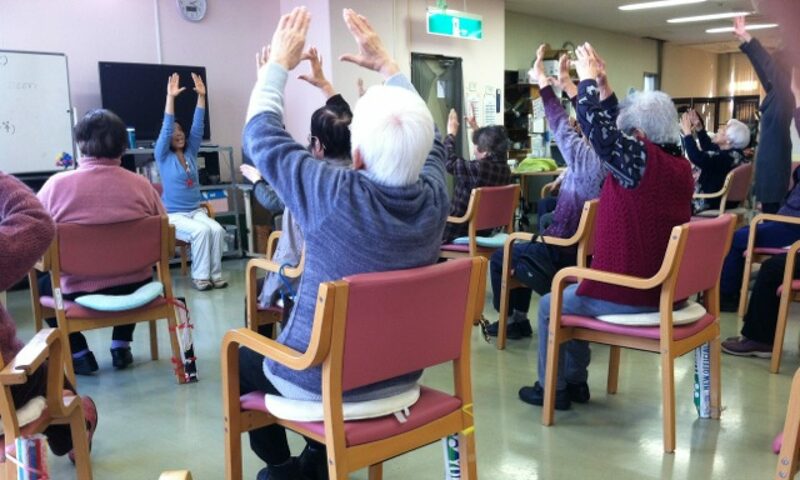 In order to provide yoga to seniors who would not otherwise be able to access or afford it, the Silver Age Yoga Community Outreach (SAYCO) program was created. This program offers seniors access to free or low cost yoga instruction by Silver Age-certified instructors. Find a free or low cost class. Silver Age Yoga trains yoga instructors via an Online Certification course. The certification process offers a sophisticated evidence-based curriculum wherein instructors acquire special skills enabling them to offer unique yoga classes to the senior population. The course is also available to others in related fields, such as physical and occupational therapists, nurses, physicians, physical trainers, and movement coaches, who can enhance their ability to help seniors.